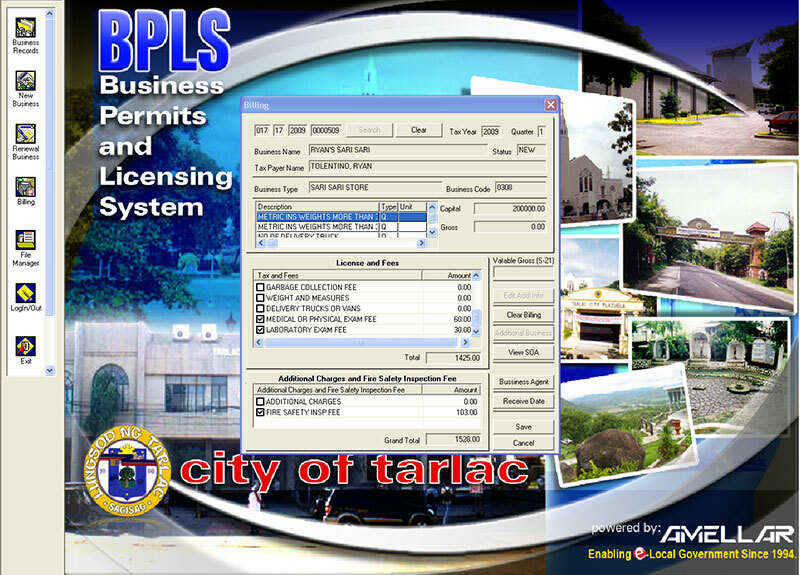 Business permits and licensing involve complicated tax computations, manual, paper-based processes, and voluminous records. 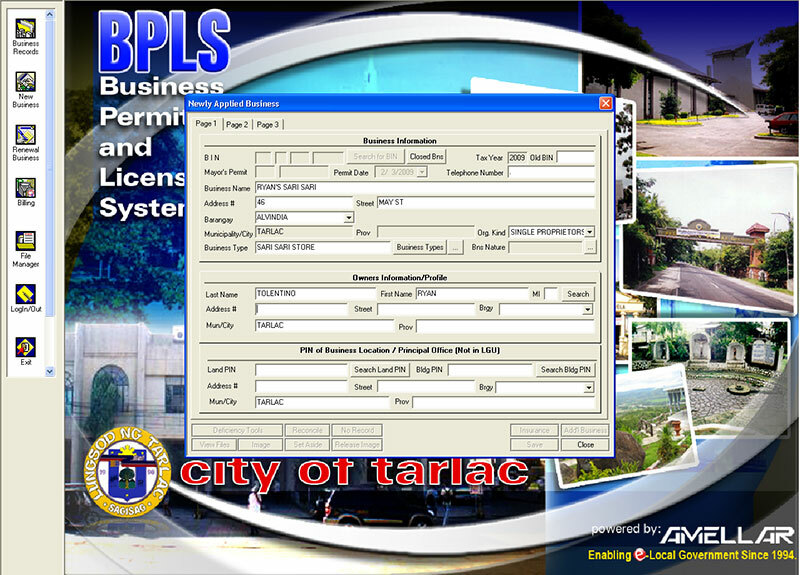 Amellar BPLS© simplifies business permits and licensing operations by automating the permit application process, assessment of taxes and fees, billing, payment, and liquidation of collections. Amellar BPLS© dramatically reduces transaction time, and practically eradicates underassessment or miscalculation of taxes and fees by keeping human discretion to a minimum. 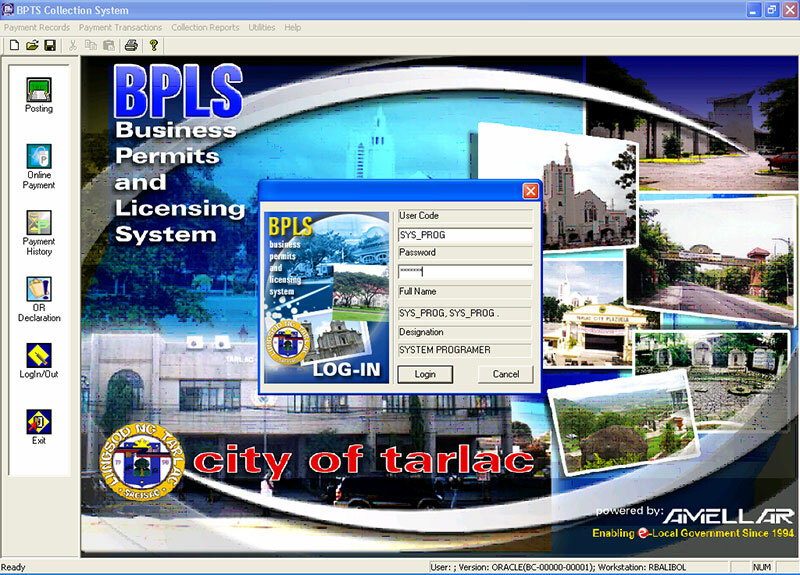 Amellar BPLS© enables LGUs to monitor compliance of businesses with their tax obligations. The management and statistical reports generated by Amellar BPLS© allows LGUs to establish patterns of business tax compliance, and facilitate enforcement of focused collection strategies. 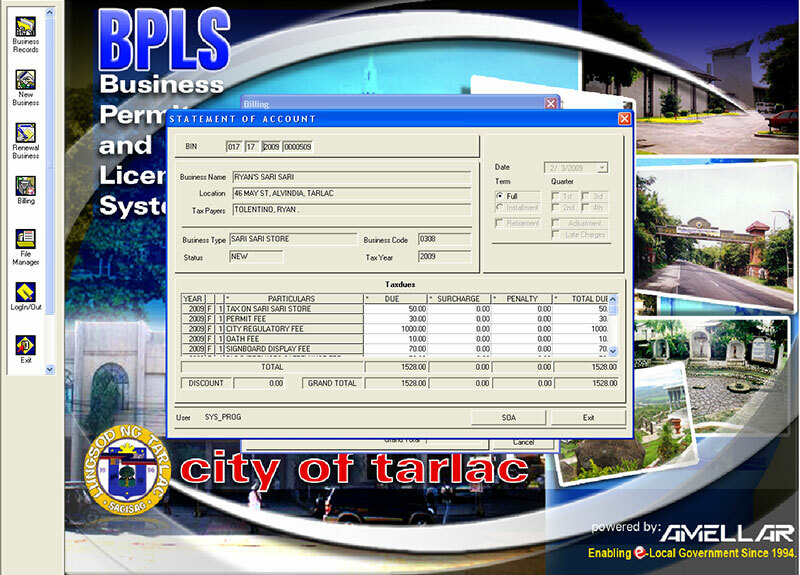 Automates application and generation of Mayor's Permit and other permits, computation of taxes and fees, billing, payment, and collection liquidation processes. Handles multiple tax-year billings and payments while maintaining transaction and payment histories. Allows dynamic updates of databases across departments and sub-offices. Allows onscreen viewing, online printing, and mass production of business records and other transaction reports (e.g., permit application, SOA, O.R., payment history, notice of delinquency, etc.). Generates management and statistical information that can be used to increase revenues, cut costs, increase efficiency, and detect deficiency. Handles various forms of payments such as cash, check, or multiple-checks including tax credit transactions and compromise agreements, at the same time tracks the status of payments (full or installment payments, payments made under protest, returned checks, reversals, cancelled payments, and debits). Facilitates the enforcement of collection remedies through tagging and cross-referencing with permits applications of businesses inspected or issued with notices of delinquency. 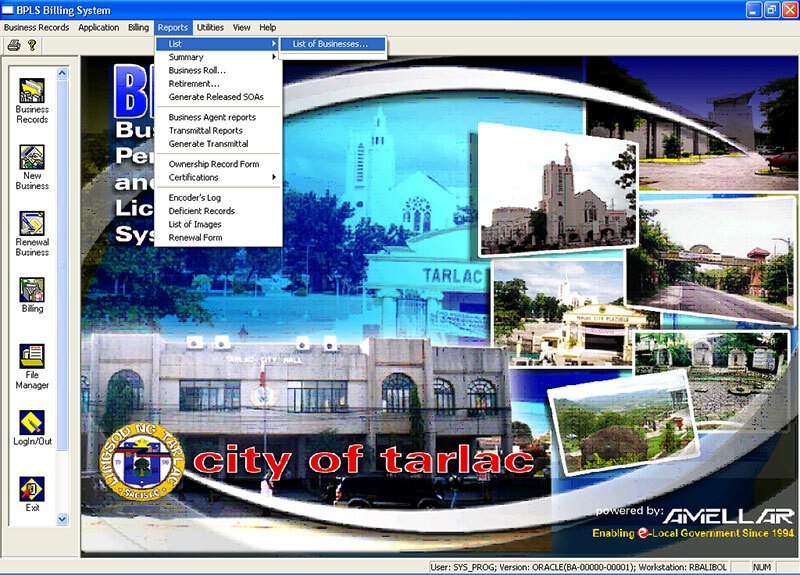 Has built-in GIS capabilities such as thematic mapping and visualization with GIS-enabled search engine. Supports cash drawers and other POS peripherals.